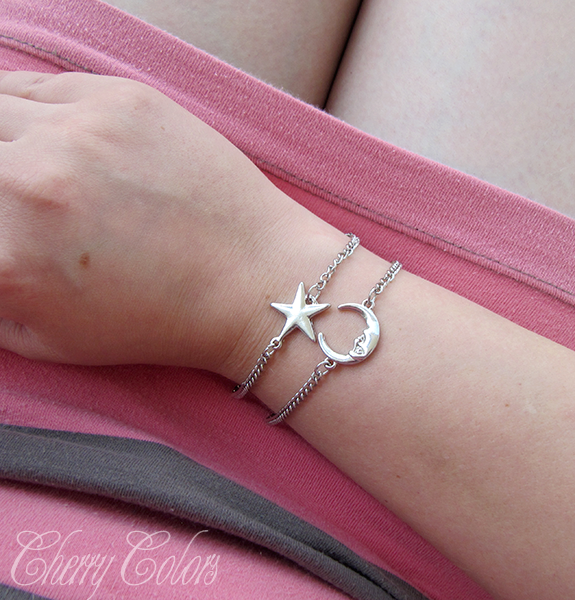 Moon & Star bracelet duo - Cherry Colors - Cosmetics Heaven! This time I decided I wanted to try out a different beauty product. Well, an accessory. 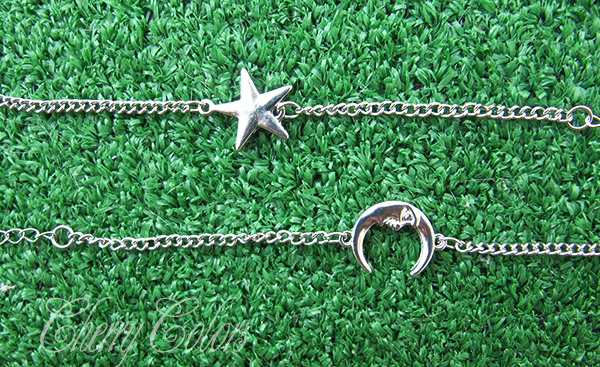 I am currently in a "moon and stars" phase so this bracelet duo totally sang to me. 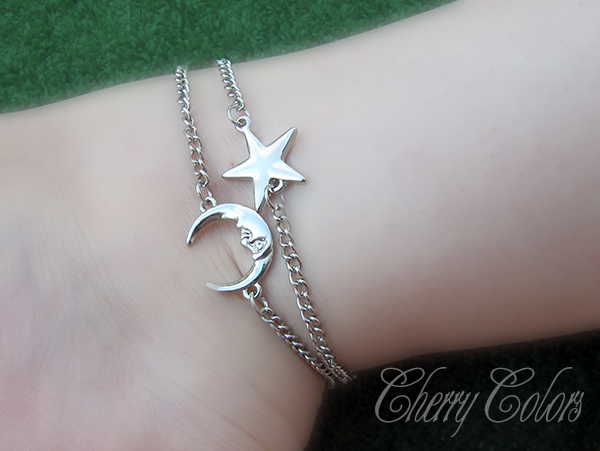 They are called "SP0140 Bracelet" and they are from the LadyQueen store. They come in two colors - gold and silver. Silver suits me most times, except for Winter, when I can wear whatever. But during Summer days there's no way I could wear gold (because the pink undertone in my skin it very obvious). So I got the silver pair. Isn't it pretty? It's such a basic look that goes well with anything really. Professional looking? No problem. Just lounging around? Sure enough! 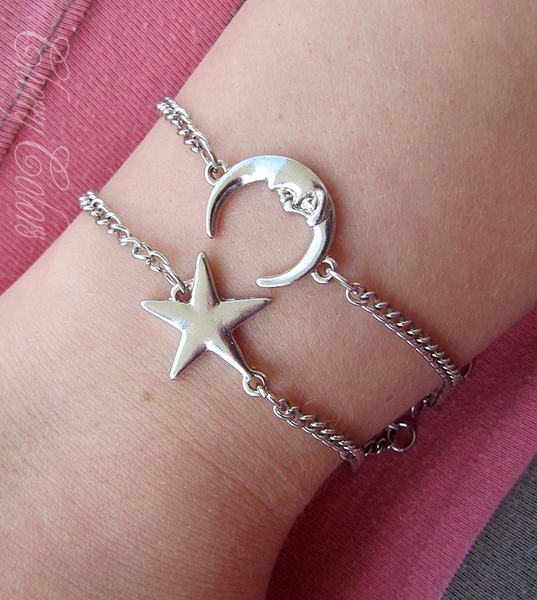 The chains are adjustable so there's a possibility of wearing them as an anklet. Sorry for the blurry photo, but my legs aren't photographic. At all! HNLC15 for a 15% off discount. This product was sent to me by the company itself or its PR. For more information please do read my Disclosure Policy. My opinion is always honest.